IBM is partnering with Apple, Johnson & Johnson and Medtronic to adapt its Watson artificial-intelligence technology for health care. IBM plans to use the Watson technology to create a cloud-based service can collect vast stores of health data and deliver insights to hospitals, physicians, insurers, and researchers tailored to individual patients. The implementation of the plan, dubbed Watson Health, would enable the company to personalize health care on a grand scale. The creation of the Watson Health unit is IBM’s latest effort to apply technology to the health care industry to increase efficiency. In the past, IBM has conducted a series individual projects in the healthcare field using the Watson technology. For these projects, IBM has partnered with some of the leading medical centers in the nation, including the Memorial Sloan Kettering Cancer Center in New York, the University of Texas MD Anderson Cancer Center in Houston and the Cleveland Clinic in Ohio. Technology, economics and policy changes are coming together to improve the odds of making the Watson Health initiative a workable reality. The ultimate goal is eventually to create a system that is geared towards keeping patients healthy instead of the current fee-for-service model where sicker patients, multiple treatments, and more procedures mean more revenue for the service providers. Using the Watson technology to combine and analyze health data from varied sources has the potential to improve care by a considerable amount. The Watson Health announcement is the latest in flurry of initiatives IBM has announced this year. 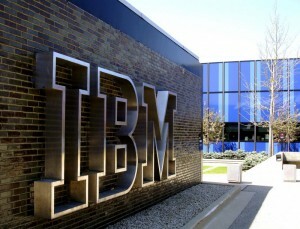 IBM also recently announced it would buy two start-ups: Explorys and Phytel. Explorys is a Cleveland Clinic spin-off that keeps data on 50 million patients and has been used to spot patterns in diseases, treatments and outcomes. Dallas-based Phytel is a maker of software that manages patient care to reduce hospital readmission rates.